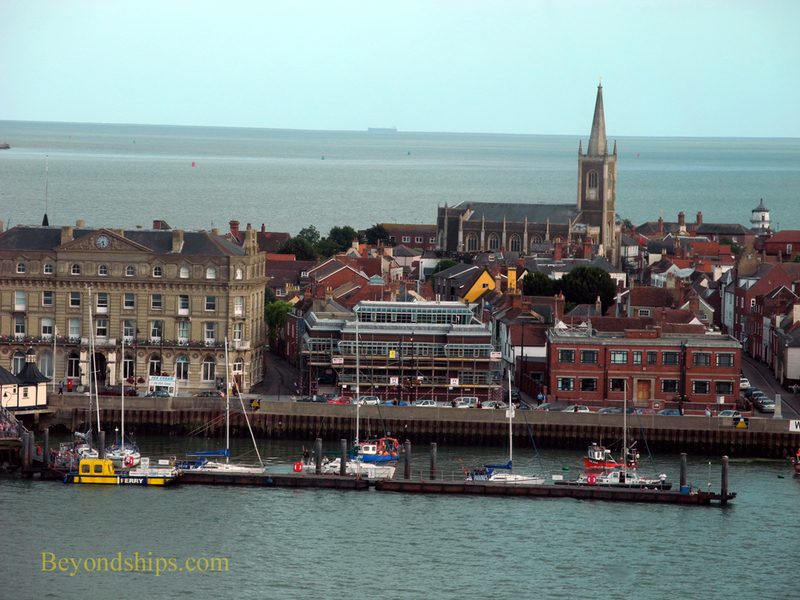 Harwich is the third major cruise port serving London. 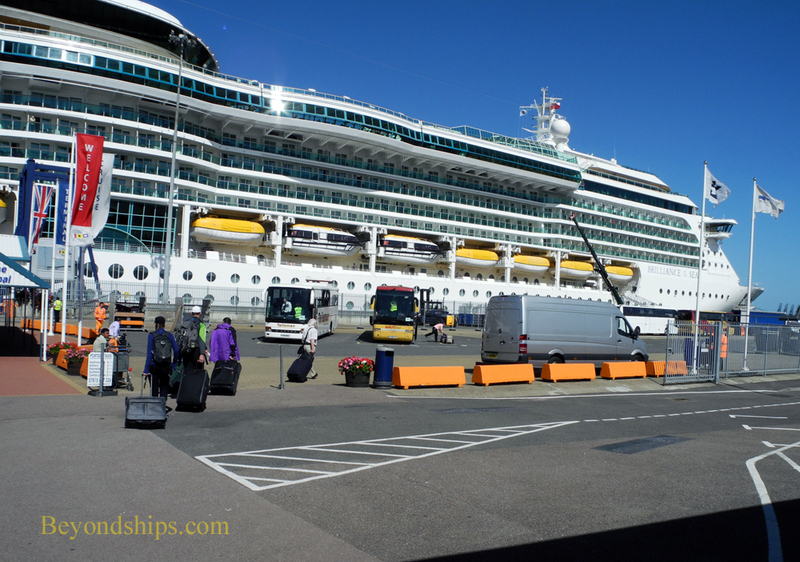 It is primarily an embarkation port but some cruise ships do stop here as a port of call during a cruise. Ships sailing from Harwich cruise around the British Isles, to the Baltic, to the Norwegian fjords, and to the Mediterranean. Located about 70 miles northeast of London in Essex along the North Sea coast, Harwich has been an important ferry port since the 1880s. It remains so today with ferries to the Netherlands and other parts of continental Europe. The ferry terminal is next to the cruise terminal. Across the estuary of the River Stour is Felixstowe, a major container and freight port. The cruise port has a modern cruise terminal that includes a cafe. There is one berth for cruise ships to dock at next to the terminal. Harwich town is some distance from the cruise terminal. It is a quiet town with not much in the way of tourist attractions. 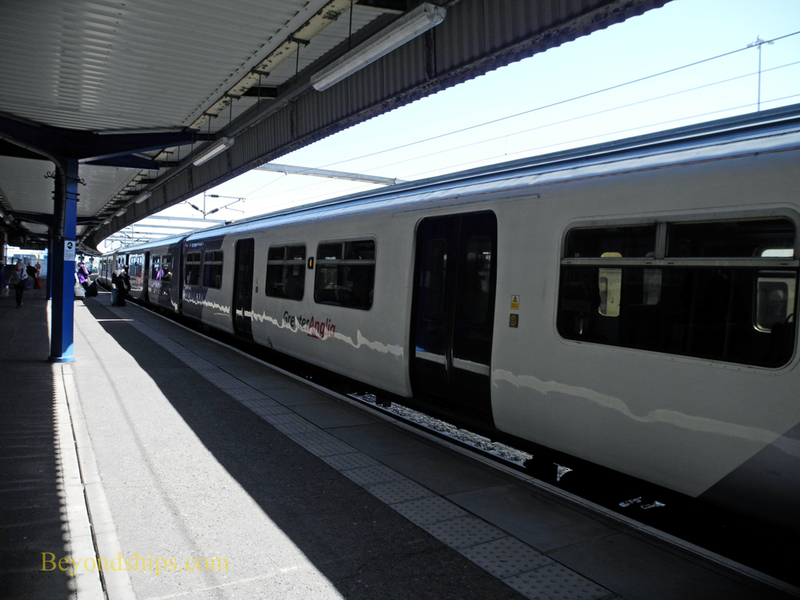 The easiest way to get to the Harwich cruise port is by train from London. 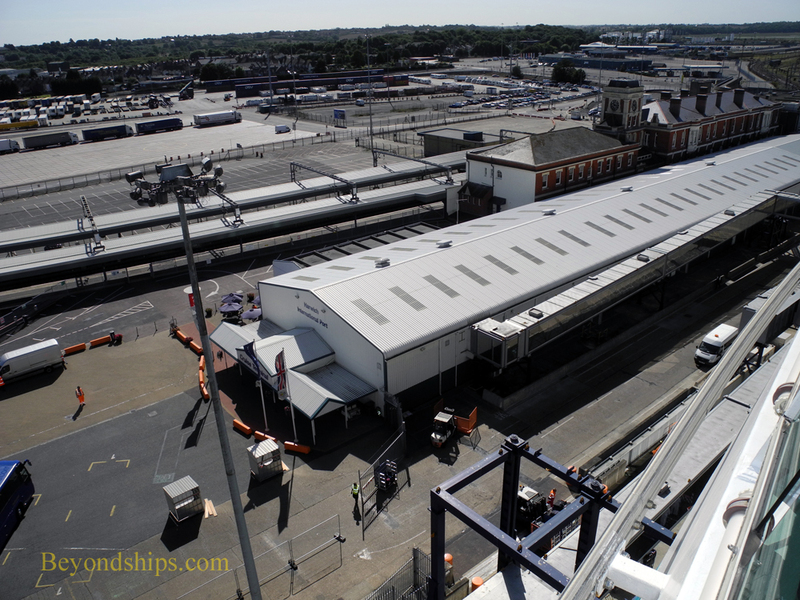 On days when a major ship is leaving, direct non-stop trains are added to the schedule of trains leaving from London's Liverpool Street Station and going to Harwich International Station, which is literally next to the cruise terminal. On arrival, you roll your luggage out of the railroad station and you are at the cruise terminal. The ride takes about 75 to 90 minutes. Harwich is about two hours by car from London. There are parking facilities near the terminal. 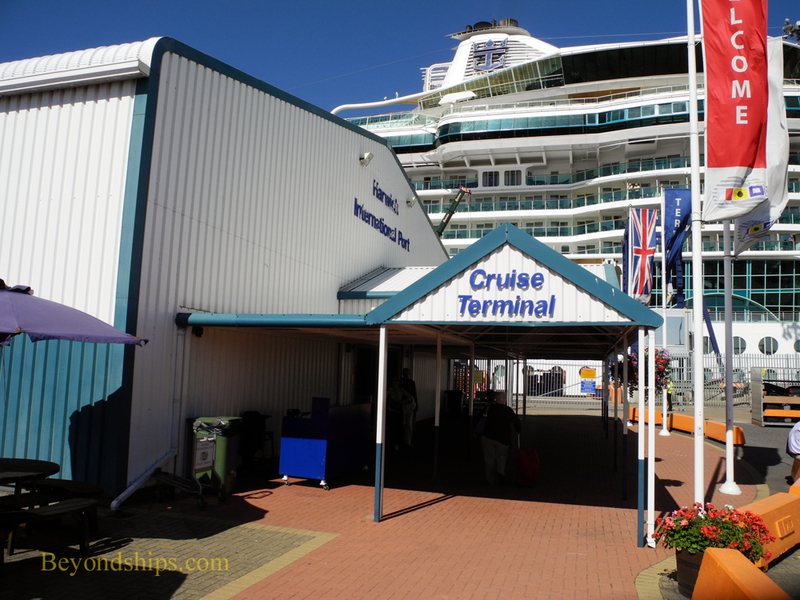 Below: Brilliance of the Seas at the Harwich International cruise terminal. Above: The entrance to the cruise terminal. Below: Trains from London arrive next to the cruise terminal. 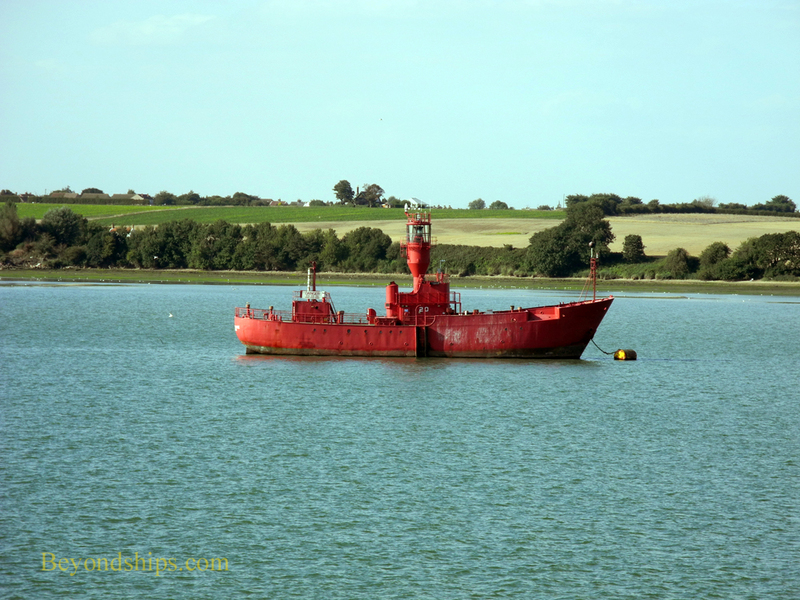 Left: A lightship moored off the cruise terminal. 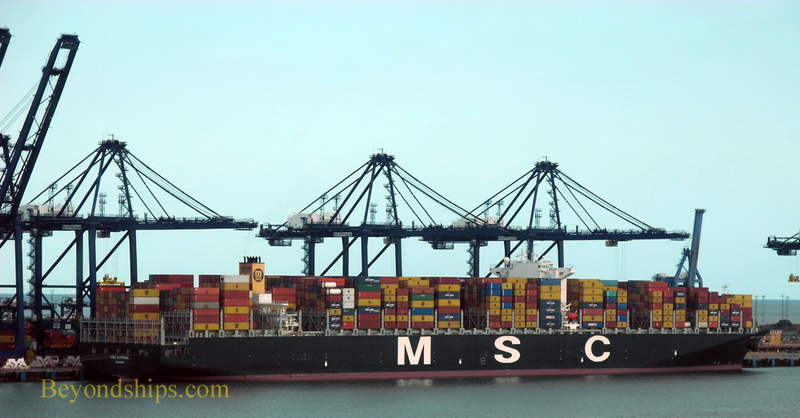 Below: A container ship at Felixstowe on the other side of the harbor.